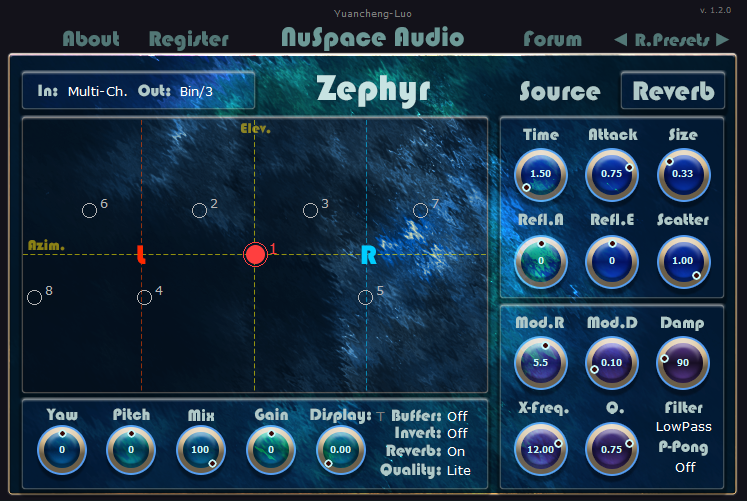 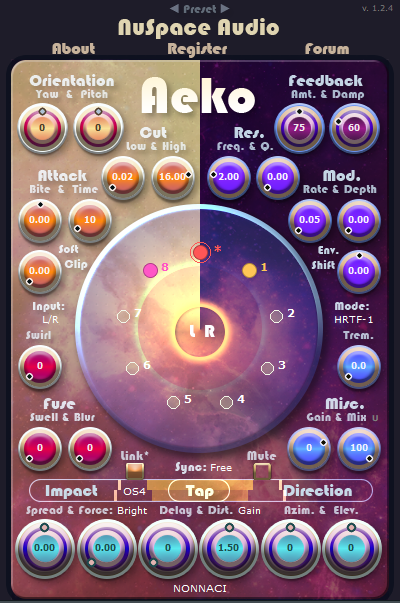 Zephyr is a 3D audio binaural/surround reverb plugin based in higher-order Ambisonics (HOA), a speaker-independent format for representing 3D sound-fields suited for spatial audio systems. 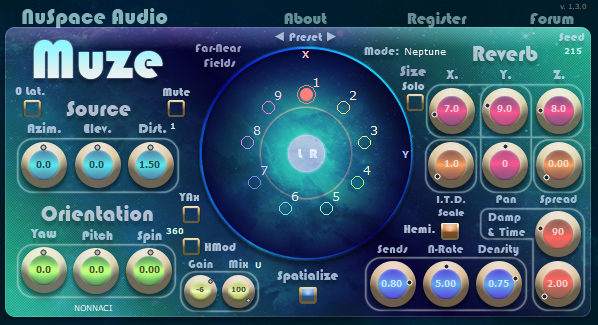 By designing an algorithmic reverb that operates directly in the Ambisonics domain, Zephyr extends the immersive quality and control of binaural and surround systems, parameterizing important spatial cues of early reflections, scattering patterns, and reverb distributions. 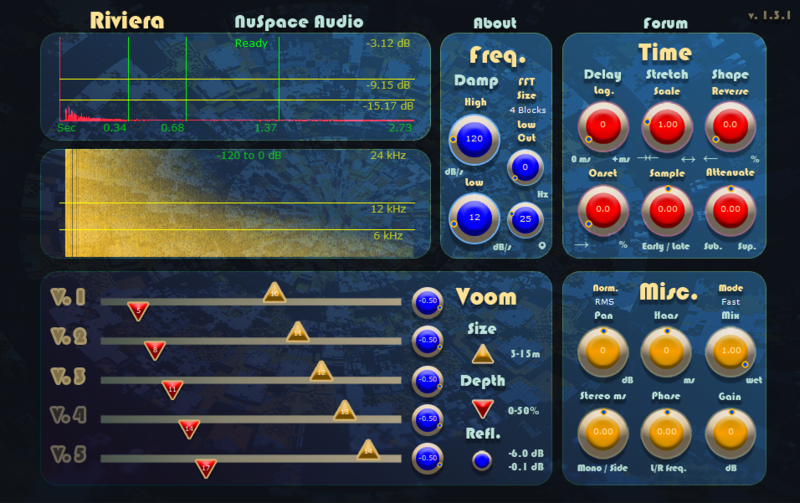 The result is a complete spatial audio package for crafting 3D soundscapes in music, 360-video, virtual/augmented reality, and beyond.